Most everyone likes to saving money. I mean spending less as opposed to actually putting it in the bank or in a sock under the mattress. Those ads saying you will be saving money on this or that are really telling you to take the money out of your pocket and put it in theirs. You won’t be saving money by spending it but you can certainly spend less or get more for your buck. Building a house is a large project that provides numerous opportunities for saving. When purchasing material for your home building project there are several ways to spend less. Sometimes much less. Watch for sales of course but it is no saving to buy a Caddy at 25% off if all you really want or need is a Mini. Ensure competition by asking for quotes from at least three suppliers on major purchases. Your framing package is one place to do this successfully. 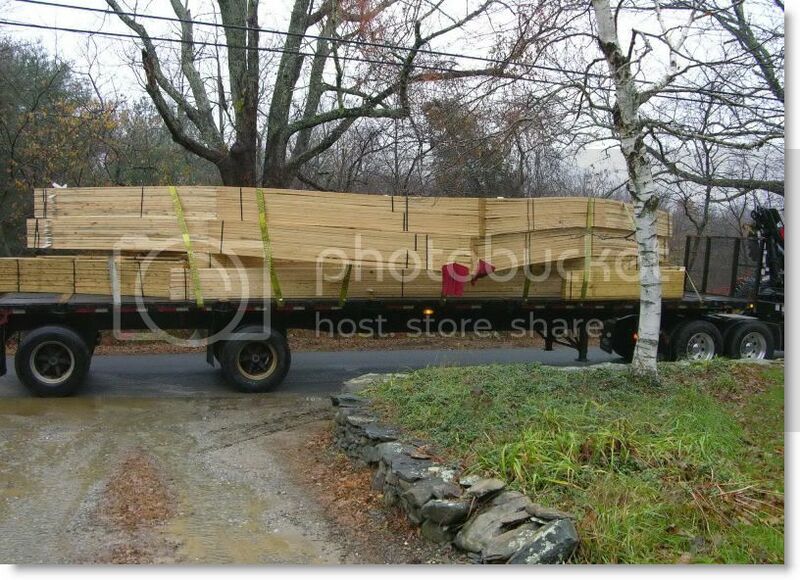 Most contractors simply drop a set of plans off at a couple lumber yards and let them do the rest. It is much better to compose your own material list so that you are sure that everyone is bidding on the same thing. Doing a reasonably accurate materials list takes knowledge of and experience in construction so you may be wise to enlist the help of a carpenter friend or construction estimator. Include everything that you can reasonably store until used. The larger the order the more you are likely to be saving. There is reason not to include shingles and drywall but items such as siding, house wrap, insulation, vapor barrier, rebar, foundation coatings, windows and doors could all be included. You could also include the hardware and fasteners that will be used during the framing stage. Be specific about grades, brands and quality where it matters. If you have a company name use it to imply that you may be a continuing customer. Have delivery included. The same applies to contractors especially if they are supplying material and even if you already know who you will be hiring. The difference is to qualify them before asking for a quote. Check on their reputation for promptness, quality of work and liquidity. Plumbers, electricians and HVAC (Heating,Ventilation, Air Conditioning) people will need a set of plans. Contracts are a good idea if your project is large enough to warrant it. If you are doing part or all of your mechanical work you will need to buy a large amount of hardware and equipment. Shop around for savings on larger items such as furnaces and water heaters both with local suppliers and the internet. If buying on the internet stick to known brands and factor in freight and possible border duties and brokerage fees. A good ploy with smaller hardware items is to take a list to local stores and and ask for a percentage discount. This works best with smaller locally owned businesses ( many stores may appear to be a chain but are actually local owned). The more work you do for them the better the deal will be. With many stores you can get their stock numbers off their internet catalogue. If you can use them on your list it can save the business owner a lot of work and eliminate a source of errors. If you have the cash available start shopping considerably ahead of the time you need the stuff. Wintertime is a good time for this in northern latitudes. Watch for sales but unless the savings are over 20% you can likely do as well or better with the methods mentioned previously. You can often get excellent deals on cabinets and vanities at this time of year if your planning is far enough advanced to allow it. Shop local internet sites that provide free classified advertising. They are a good source of great deals on both new and used items. In Canada an excellent one is Kijiji. You will be saving money and saving the environment by reusing. If you are not working weekends in the summer you can shop yard sales. This is a lot of fun and you can usually find stuff you need for almost nothing. Almost any home owner has lots of left over bits and pieces from construction and often just want to get it out of their hair without throwing it away. Don’t forget to bargain, it is part of the fun. Every city has numerous stores that sell used or recycled (or often new) products related to home building and renovation. There are often great deals to be had but you will need to stop by often as their inventory is constantly changing. Habitat for Humanity has many such outlets usually called “ReStore”. Buying from them is also contributing toward a very worthwhile charitable organization. Well I am just plumb wore out from all this shopping and saving. This entry was posted in Uncategorized and tagged money, saving on February 9, 2013 by Rick.